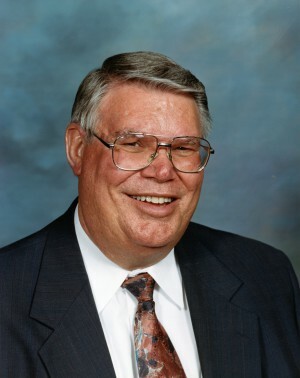 George L. Reddin accepted the pastorate of Denver Street Baptist Church, effective May 1, 2011, after serving nine months as interim pastor. He came to Denver Street upon his retirement from Lifeword Media Ministries of Conway, AR, where he had invested 31 years of service, six years as assistant director and 25 years as executive director. Lifeword is a department of the Baptist Missionary Association of America, with which Denver Street Church is affiliated. The first seven years Brother Reddin was at Lifeword, he designed and edited a daily Bible study magazine, Day by Day, and authored the contents for many of the issues. The magazine was distributed to Lifeword listeners across the nation. Pastor Reddin is an Arkansas native (born at Hope on January 25, 1945) and a graduate of Conway (AR) High School (1963) and Central Baptist College of Conway (1967). He did further study at BMA Theological Seminary, Jacksonville, TX, and Moody Bible Institute, Chicago. He surrendered to God’s call to the ministry on September 11, 1963, and four months later as a freshman in college was called as pastor of two “half-time” churches (congregations with preaching services two Sundays per month), Grace Baptist Church, Nashville, and Tomberlin Baptist Church, England (both in Arkansas). During his last two years in college he served as pastor of Immanuel Baptist Church, Clarksville, AR. After graduating from college Pastor Reddin worked with his father, A. R. Reddin, as associate pastor of Parkview Baptist Church, Laurel, MS. He was pastor of four other churches before he joined the staff of Lifeword Media Ministries (then called Harvest Gleaner Hour) on October 15, 1979: Paramount Baptist Church, Wiggins, MS; Berachah Baptist Church, Vicksburg, MS; Grace Temple Baptist Church, Texarkana, TX; and Springhill Baptist Church, Greenbrier, AR. Brother Reddin grew up in a Baptist preacher’s home and accepted Jesus Christ as his personal Savior in March of 1958. His father was a pastor and a denominational leader, serving as Director of Missions for the BMA of Arkansas (1951-54), president of Central Baptist College, Conway, AR (1954-66), and executive director of Harvest Gleaner Hour (1971 until his death in 1972). The younger Brother Reddin was pastor of two churches that his father had served earlier, and led in one denominational position from which his father had graduated to glory. Carolyn Colvert joined Denver Street Baptist Church in June, 2007. Two years later, she was elected as church secretary to work two days per week. In 2011, the title secretary was changed to adnministrative assistant. She accepted Christ as her personal Savior at the age of 15 at New Hope Baptist Church in Springdale were her father, Lee Norman, was a BMA pastor. Church work has been a focal point of her life. At some point, Carolyn has served in virtually every office in a church. These include: Sunday School Teacher, Bible Study Leader, GMA Counselor, Bus Driver, Children's Church Worker, VBS Director, Church Clerk, and Church Pianist. 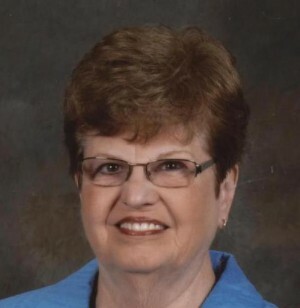 She is currently serving as the Denver Street Treasurer and Women's Missionary Auxiliary (WMA) Teacher. WMA has been a special area of interest. She has worked at every level from local to national. She is currently the National WMA President. Outside of the church, Carolyn is retired from Arkansas Public Schools. She taught kindergarten through college, but spent the majority of the time as an elementary teacher. After working in the classroom for twenty years, she was promoted to an elementary principal's position and one year later to a central office administrator where she was responsible for curriculum development, staff development, gifted/talented education and assessment. After retiring from public education, Carolyn worked for the Sebastian County Department of Human Services. There, she began as a case worker but was later promoted to a unit supervisory position. Ultimately, she was promoted to the Sebastion County Supervisor's position. Carolyn has many interests. She speically enjoys music, travel and photograhy.